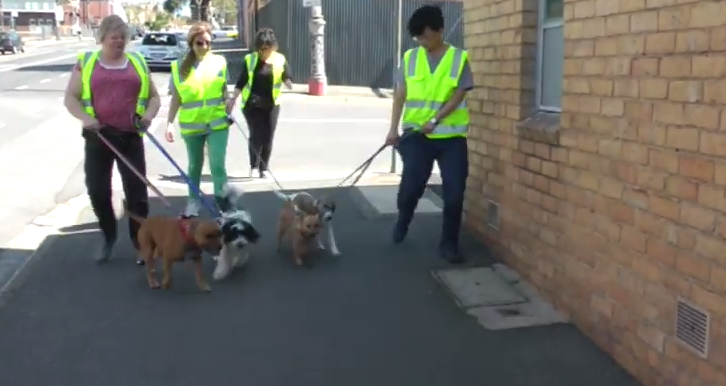 Just like schools have tutors to give extra special attention and guidance, the dogs in our Finishing School program have their very own doggie tutors! Most have been long term volunteers with the Home and have been involved with several different projects over the years, others have been with us for just a few months. Regardless, they all share the same enthusiasm. They turn up rain, hail or shine and devote a large portion of their weekend to our dogs. On behalf of all the dogs our tutors have helped prepare for adoption we wanted to say thank you! Your next bunch of students are keen to meet you.